According to research firm Gartner, smartphone sales exceeded feature phone sales for the first time in the April-to-June period. 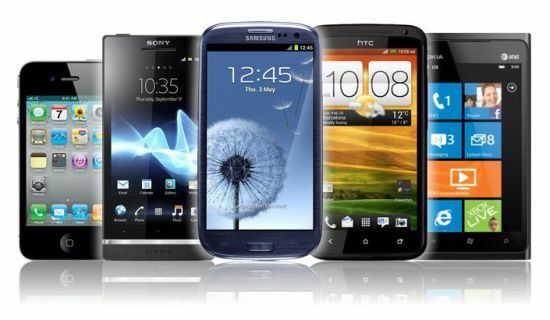 The highest smartphone growth rates came from Asia, Latin America and Eastern Europe, Gartner said. “Smartphones accounted for 51.8% of mobile phone sales in the second quarter of 2013, resulting in smartphone sales surpassing feature phone sales for the first time,” said Anshul Gupta, principal research analyst at Gartner. Some analysts said that the price of entry-level smartphones has come down sharply over the past few months, resulting in a major sales boost. “We have a lot of Asian manufactures such as Samsung, Huawei, ZTE and LG who are coming put with much more affordable smartphone models,” said Andrew Milroy of consulting firm Frost & Sullivan. Andrew Milroy added that some mobile phone carriers had also been offering pre-paid data plans, allowing consumers in these markets to limit their bills while using features such as email and mobile applications, which had also helped attract new customers. Gartner said Samsung continued to be the top seller of smartphones globally, while Apple saw its marketshare come down to 14.2% from 18.8% in the same period a year ago. Gartner said that in terms of operating systems, Google’s Android was top, with 79% market share, followed by Apple’s iOS with 14.2%. However, Microsoft overtook Blackberry for the first time to come in third place. Andrew Milroy said that given the growth in smartphones sales, coupled with a drop in their prices, the future for feature phones looks bleak. “Feature phones will be a hard sell in about five to 10 years time,” he said.